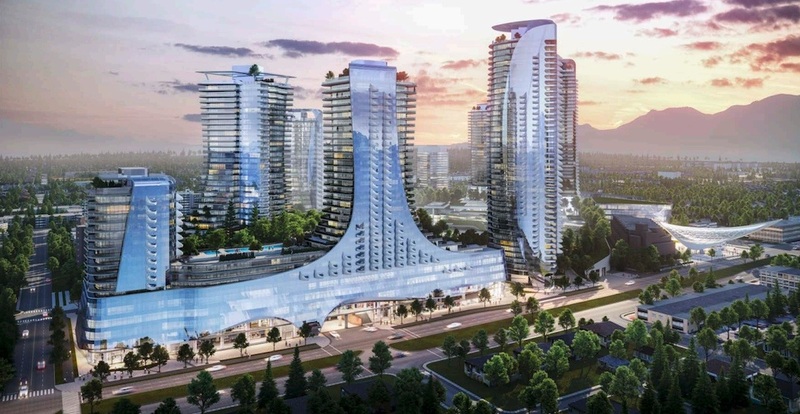 A closer look at a large portion of the Oakridge Centre redevelopment is provided in a recently submitted development application. 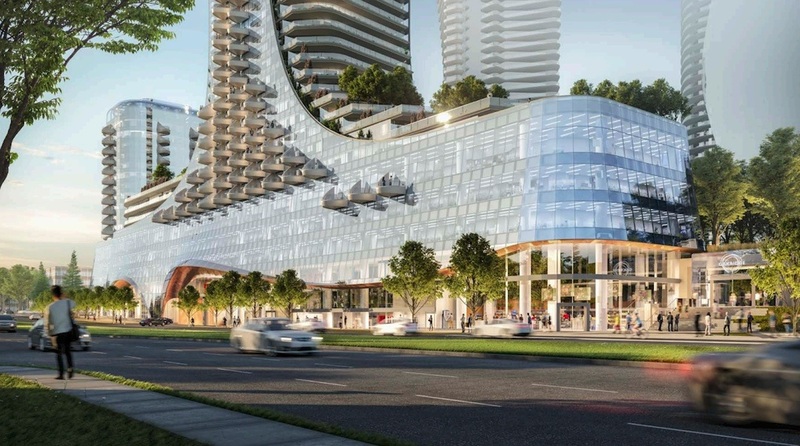 The next phase of the expansive redevelopment targets the southeast corner of the 28.5-acre property — the corner next to the intersection of Cambie Street and West 45th Avenue, which is currently occupied by the existing shopping mall’s Safeway store, food court, and one of the parking lots. 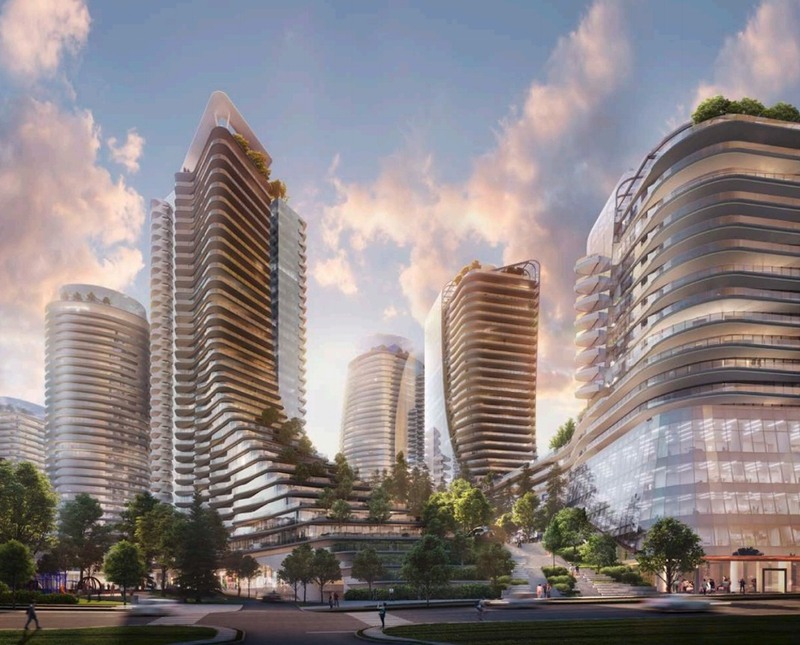 Henriquez Partners Architects’ latest application for this project, on behalf of developer Westbank, outlines three towers — a 32-storey tower, a 17-storey tower, and a 34-storey tower named Building 6, Building 7, and Building 8, respectively. Building 6 and Building 7 will carry 329 homes combined and Building 8 will have 286 homes for a total of 615 homes. 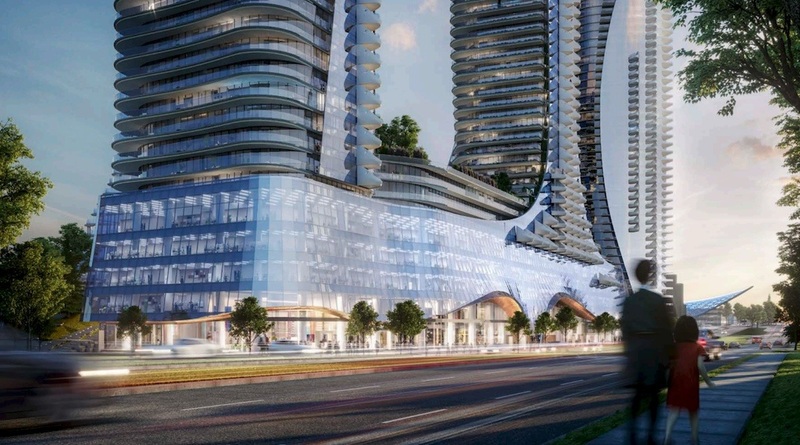 The towers will sit on podiums containing new retail and office space for the mall, with three levels of underground parking further below. A large portion of the nine-acre rooftop public park and a two-storey pavilion building with retail will be completed in this phase. Overall, this phase alone calls for 1.172 million-sq-ft of total floor area, including 360,000-sq-ft of new retail space and 120,000-sq-ft of new office space. 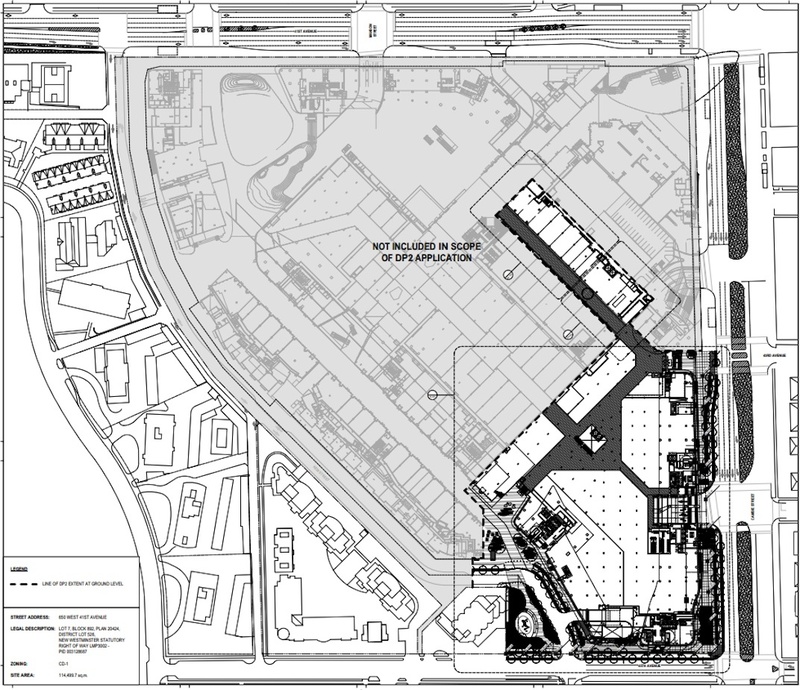 A replacement large-format grocery store and a new liquor store are located underground adjacent to parking to provide convenient access to shoppers. 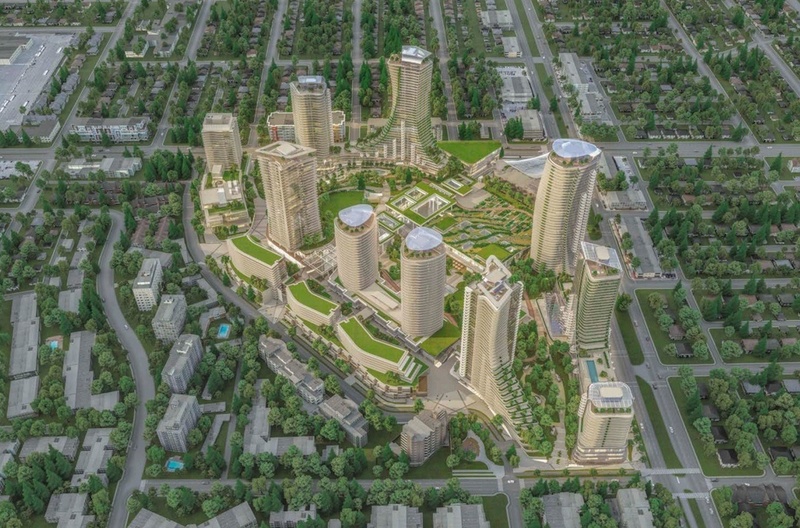 The architecture for this portion of the redevelopment is aligned with the design of the rest of the project, including the first phase with two towers at the site’s northeast corner. “The metaphor of skin and bone is the ordering principal for the architectural tectonic for buildings here and elsewhere in the project. It is derived from the idea of draping the mall with a landscaped park,” reads the architect’s design rationale. 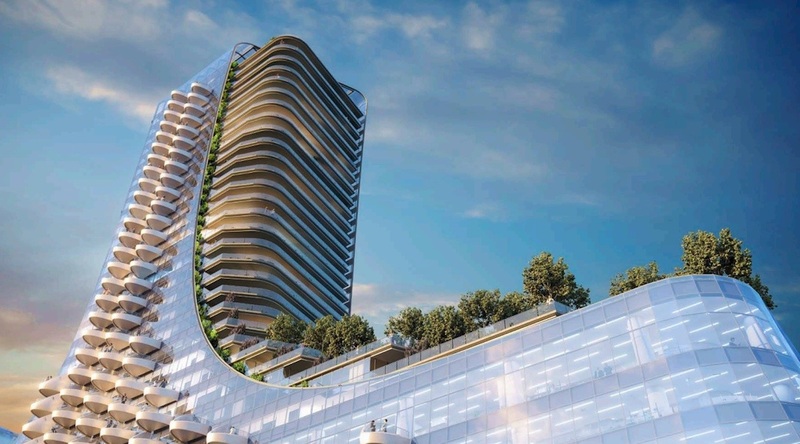 Like Building 3 and Building 4 on the northwest corner, Buildings 6 and 7 will also feature sculptural pods hung from the facade to provide special balcony sanctuaries. “The building seen as a newly formed mountain, we can analyze its parts: the forested valley floor at its base, the spur ascending to the summit, and the precipitous east and west faces,” continues the rationale. 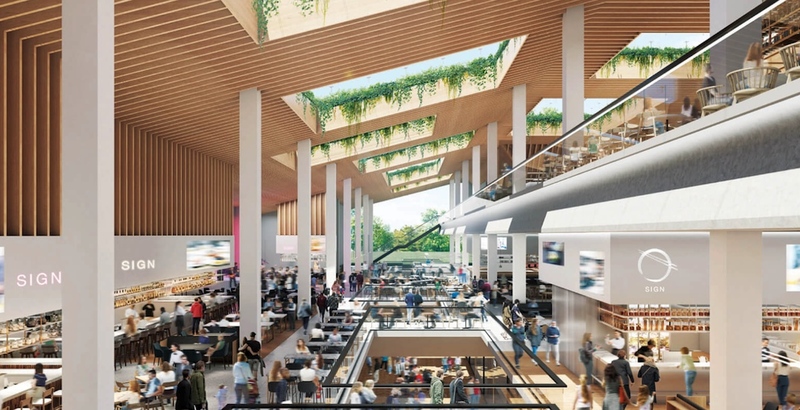 The rooftop park’s two-storey retail pavilion, dubbed the ‘Summer House,’ will double as a stage for performances facing large open areas of the park and outdoor restaurants to the north. A multi-storey atrium allows for views and natural light to pour through the four interconnected shopping mall levels below, which are accessible by elevators and escalators at this location. 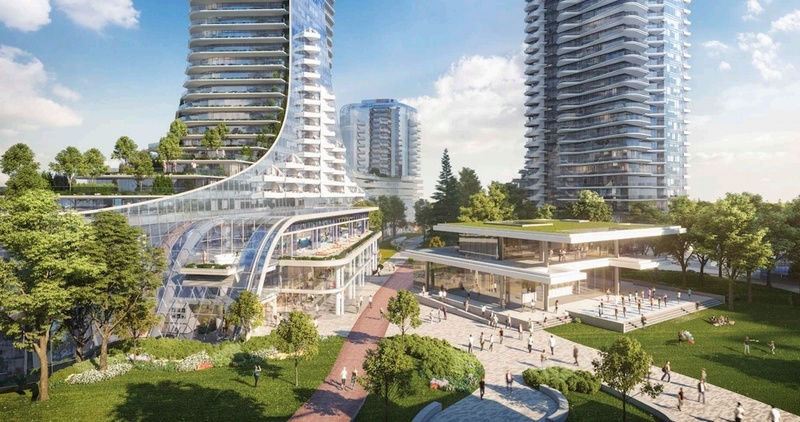 When all phases are complete in 2025, Oakridge Centre will boast over 4.5 million-sq-ft of new floor area, with much of this floor area dedicated to 2,548 homes, including 1,968 market housing units, 290 social housing units, and 290 rental housing units. 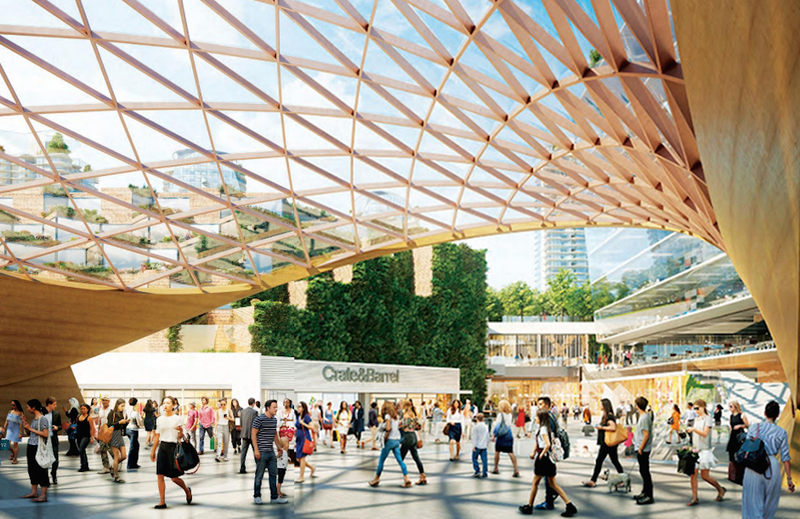 The shopping centre’s retail space will be nearly doubled to about one million-sq-ft, and approximately 290,000-sq-ft of office space will be built within the lower podium levels of the towers — reaching a height of up to 42 storeys. A one-of-a-kind, 100,000-sq-ft food hall includes 20 food kiosks and a 32,000-sq-ft brew pub. 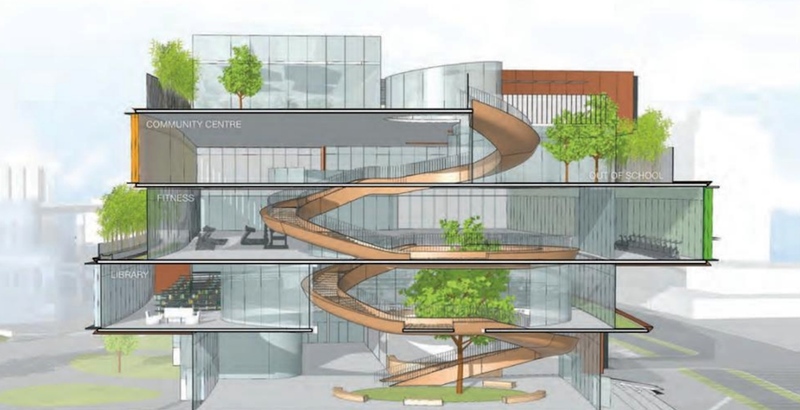 Altogether, the indoor spaces can accommodate 2,600 people, while the outdoor patio that opens to the rooftop park can fit a further 800 people. As for public amenities, there is a 100,000-sq-ft community centre and a nine-acre rooftop public park over the new shopping mall. Approximately 6,000 vehicle parking stalls within underground levels are planned. 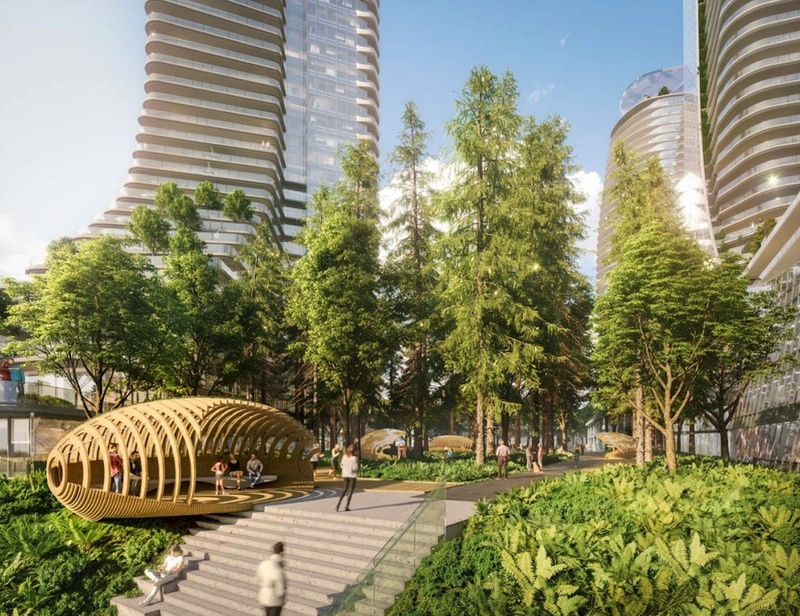 The project proponents are envisioning major improvements to the Canada Line’s Oakridge-41st Avenue Station entrance and capacity, including a dramatic canopy covering much of the corner’s public plaza.